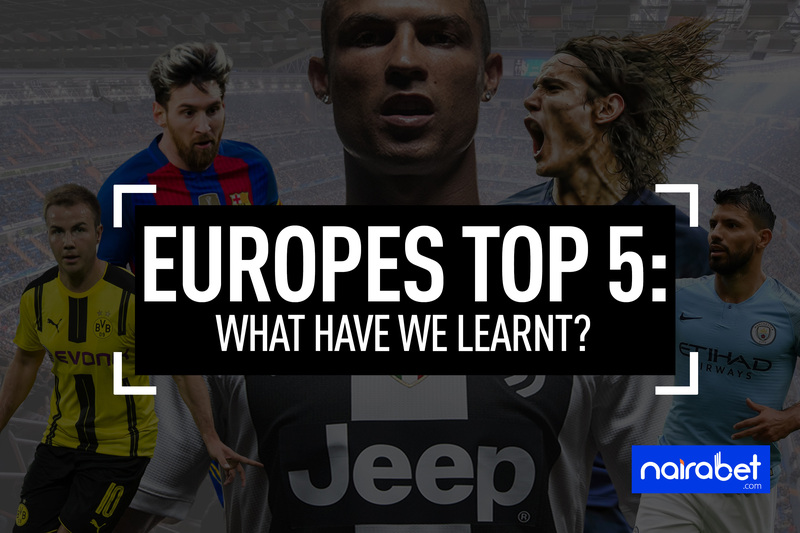 With the international break here already, it’s the perfect time to analyze the performances of situation of Europe’s top 5 leagues. After this last international break of the year, the action will come in thick and fast for these teams. From UCL to league and cup games, the schedule will be jam-packed. But how did these teams fare in their respective leagues this past weekend? The Manchester derby was the highlight of the weekend. The Citizens cruised to yet another win, making all to wonder when they will lose a game. The same question applied to Liverpool and Chelsea too as they avoided defeat, and Arsenal had to endure yet another draw. 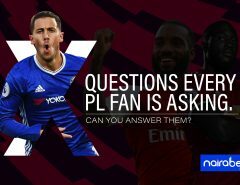 Click here to predict the MatchDay 13 games of the Premier League and stand a chance to win big. It’s still too early to talk about which of these teams will win the league. Only 4 points separate the top three which is pretty competitive by all standards. At the bottom, Cardiff City and Fulham seem destined to suffer relegation. It’s been a long time the top of the Spanish log table looked this competitive. It’s usually Barcelona, Real Madrid and the rest of the league. But as it stands, only one point separates Barcelona (1st) and Alaves (4th). Sevilla and Atletico Madrid in second and third respectively have stayed within touching distance of Barcelona. Real Madrid’s recent win has helped them to climb up to sixth on the log. At least the league looks more competitive now – Barca’s home loss to Real Betis is a testament to this. By winning the German Clasico, Borussia Dortmund retained their top spot position on the log table. It’s surprising to see Bayern Munich languishing in fifth position, 7 points off the top of the table. They’re well behind Monchengladbach, RB Leipzig and Eintracht Frankfurt. The next round of Bundesliga games will be played on the weekend of 23-25th of November. Just like the La Liga, the competition is pretty stiff in the league too. It’s no longer a one-horse race – although Dortmund seems to be running away with the league title. But it’s still early days, too early to call. Ronaldo’s goal against AC Milan was his eighth of the season. This puts him just one behind Piatek of Genoa on the top scorers’ chart. But his team is behind no other in the league. Matter-of-factly, they have opened up a six-point gap at the top of the table, with the nearest contender being Napoli. Will AC Milan have to endure yet another loss when they take on Lazio in their next league game? The gap between first and second is even wider in France. PSG has won all of their 13 league games this season. They’ve scored an average of 3 goals per game and are a distant 13 points away from second-place Lille. Between second place and sixth-place Marseille, the competition is much stiffer. It’s almost as if the only battle in the league is for which team will finish just behind PSG. Thierry Henry has not been able to help Monaco. With yet another loss, they’re currently in 19th.